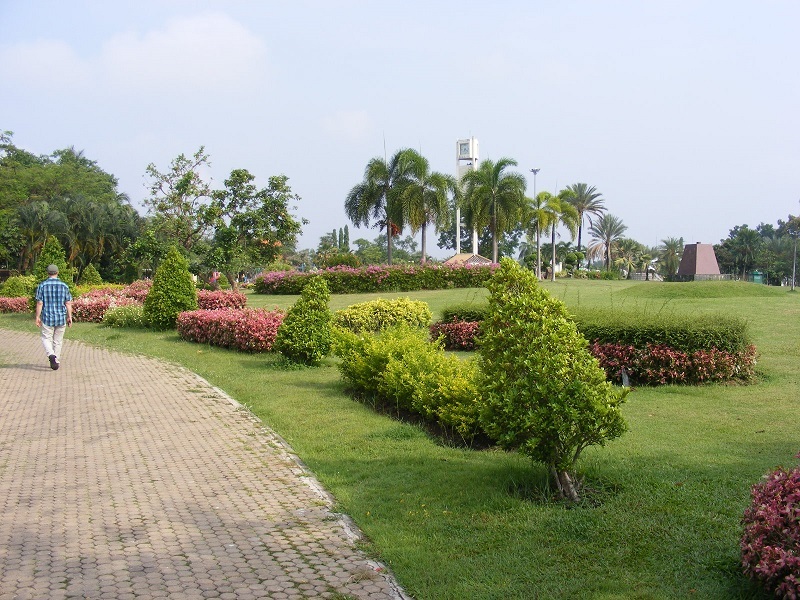 Nong Prajak Park is one of three reservoirs in Udon Thani that have been developed to create a recreational centre for the city, (the others are at Nong Sim Park and Nong Bua Park) a place where you can walk and exercise. 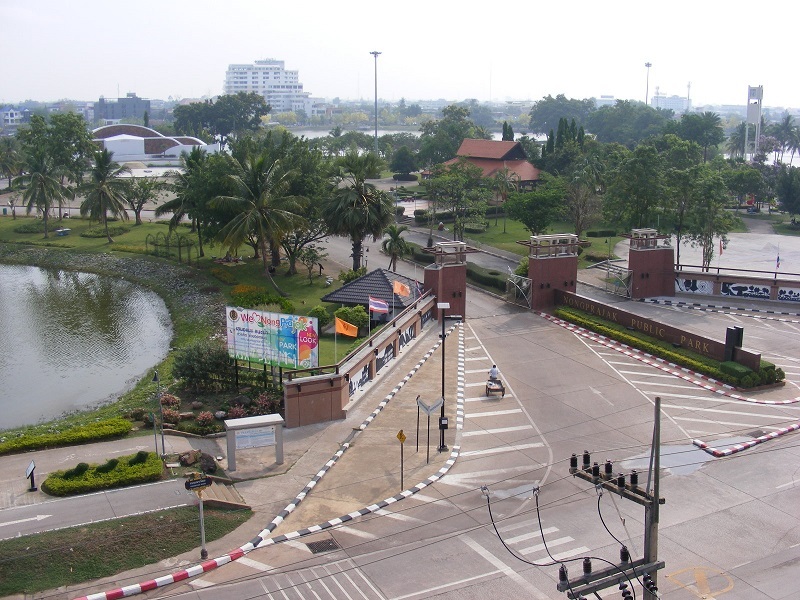 Nong Prajak Park is in the central western part of Udon Thani, and about a 30 minute walk from the Day and Night complex. It is an easy walk but there are Tuk Tuks and Songthaew buses that will take you there and back, if you do not fancy walking in the heat. The Loy Krathong festival also takes place here in November. Most Thai's do not visit the park until the late afternoon as the sun begins to set, and looses some of its heat. The park is used for walking and jogging, and included in the park are a number of climbing frames, swings and other attractions for the kids to burn off some energy. If you want a pleasant and really quiet walk around Prajak Park, the best time to go is in the early morning, somewhere around 7.00 - 10.00 before the sun does gets too hot. 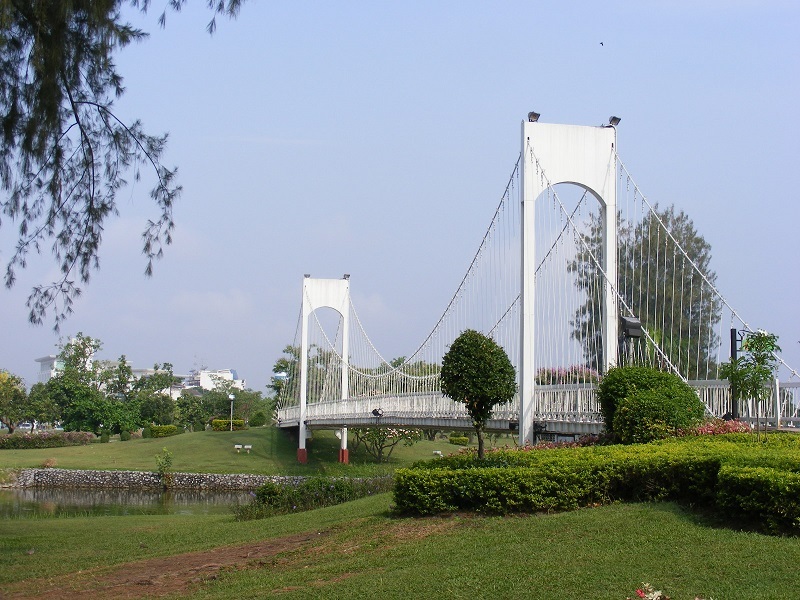 There are well designed footpaths to walk on, which will take you over two suspension bridges as you go around, as well as a large number of flower beds, shrubberies etc. You will also find a few booths selling cold drinks, which are always welcome. 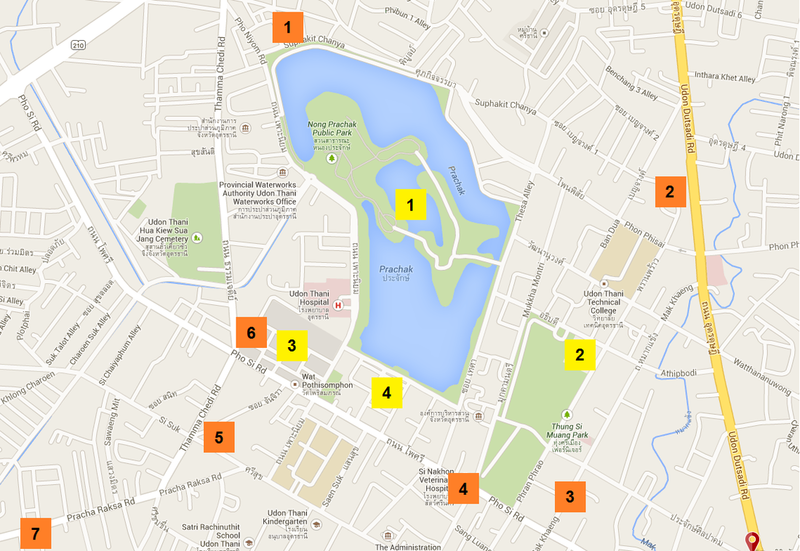 There are two entrances to Prajak Park, the main entrance is opposite the Prajaktra Hotel, the other is on the other side of the reservoir, on Thesa Alley, where you will often find many food stalls. There are also street massages available here in the evenings. From Day and Night, turn right and turn right again at the bottom of the road, on to Prajak Sallapakon. Just go straight ahead, all the way up to the park. When you arrive at the park (in the south east corner), the quickest way to access the park is to turn right once again and walk along the side of the park until you see an entrance gate on the left. Songthaew buses 7 and 14 depart from Central Plaza and go close to Nong Prajak Park, passing the City Pillar Shrine and Chinese Shrine. Hop off as the bus turns left just past these shrines. The cost should be no more than 10 baht, each way.